Runtime: 2 hr. 28 min. Gillian Anderson (X-Files, NT Live: A Streetcar Named Desire) and Lily James (Mamma Mia! 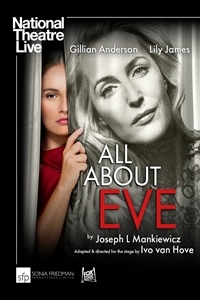 Here We Go Again) lead in All About Eve, captured live on stage in the West End in London.